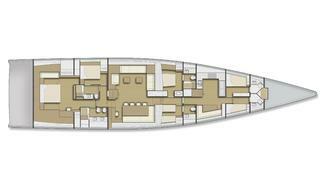 MCP Yachts has announced the build of Silver Bullet 100, the first in a new range of aluminium sailing yachts. The newly launched MCP Sailing Yachts Division will manage the construction of the 30.48 metre sailing yacht, and work is expected to begin this month. MCP has collaborated with naval architect Alejandro Bottino from A.Bottino Design and Engineering, while North Sails is responsible for the rigging and hardware. The shipyard has been building yachts in Brazil for more than 35 years and is known for its range of aluminium motor yachts such as the recently launched Paradiso. 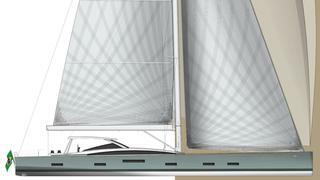 MCP will draw on this experience for its first sailing yacht build. The design features a semi-raised saloon, allowing more space for accommodation. Two guest cabins and the crew area are found forward, with a third guest cabin aft of the saloon. The spacious aft owner’s cabin will be full of light thanks to a large window that looks out onto the lowered aft terrace. The terrace can provide a sheltered spot while underway but also provides great access to the sea thanks to a folding platform. There is also the option to use the terrace to carry a jet ski. 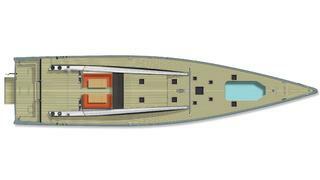 Another notable feature is the tender storage on the foredeck that converts into a pool when the tender is launched. Silver Bullet 100 will be fitted with a lifting keel that offers a 2.5 metre draft for shallow water and 4.5 metre draft for optimised sailing performance. Propulsion is provided by a Yanmar 6LPA-STP2 315 horsepower engine. 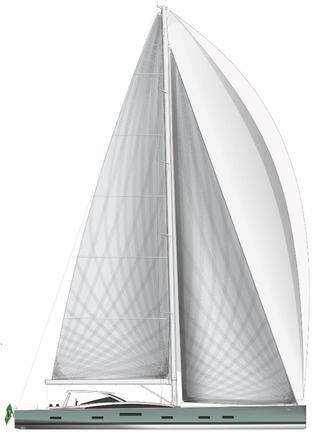 A 215 square metre self-tacking jib makes the yacht easy to handle and accompanies the 260 square metre mainsail. The deck has a clean layout, with all of the sailing hardware kept aft of the helm and separated from the cockpit seating area.